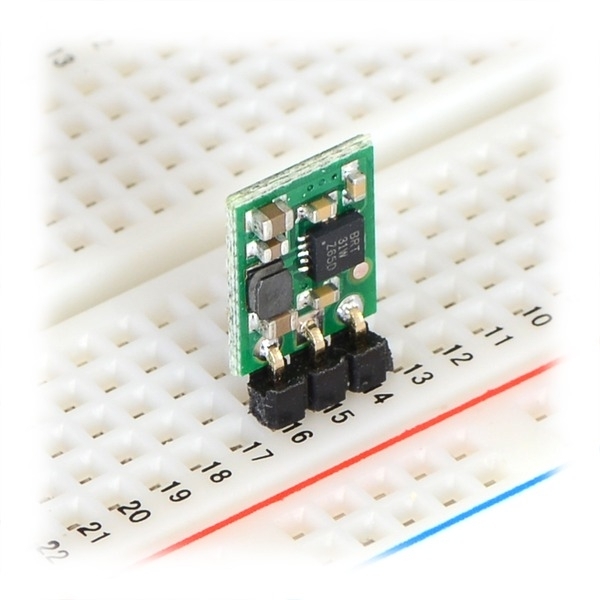 This 3.3 V boost (step-up) voltage regulator generates higher output voltages from input voltages as low as 0.5 V, and it also automatically switches to a linear down-regulation mode when the input voltage exceeds the output. 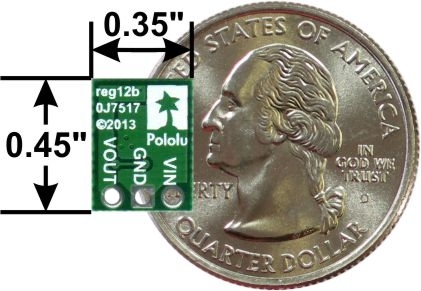 This makes it great for powering 3.3 V electronics projects from 1 to 3 NiMH, NiCd, or alkaline cells or from a single lithium-ion cell. 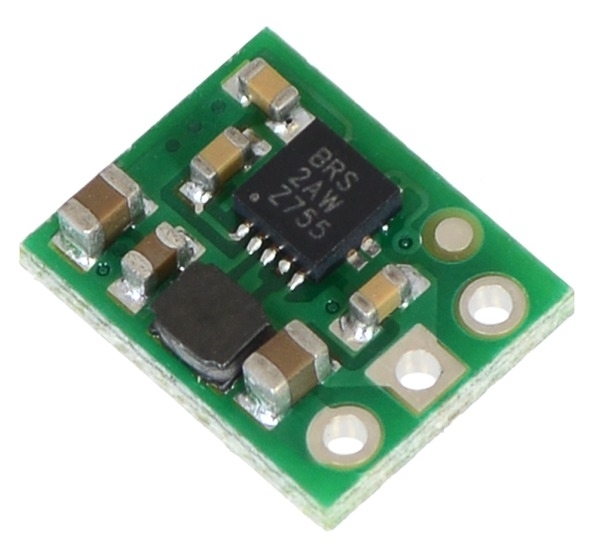 When boosting, this module acts as a switching regulator (also called switched-mode power supplies (SMPS) or DC-to-DC converters) and has a typical efficiency between 65% to 85%. 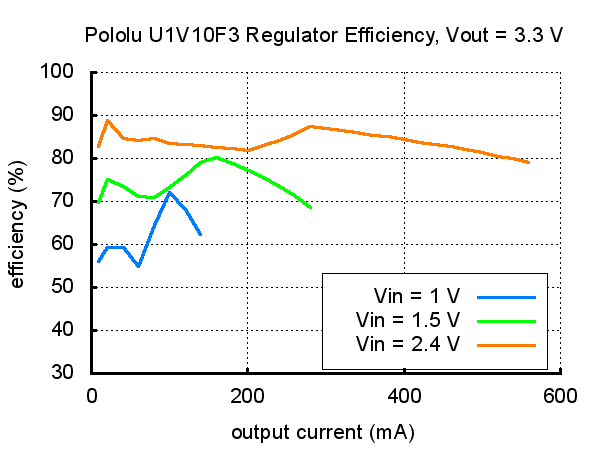 The available output current is a function of the input voltage, output voltage, and efficiency (see Typical Efficiency and Output Current section below), but the input current can typically be as high as 1.2 A. 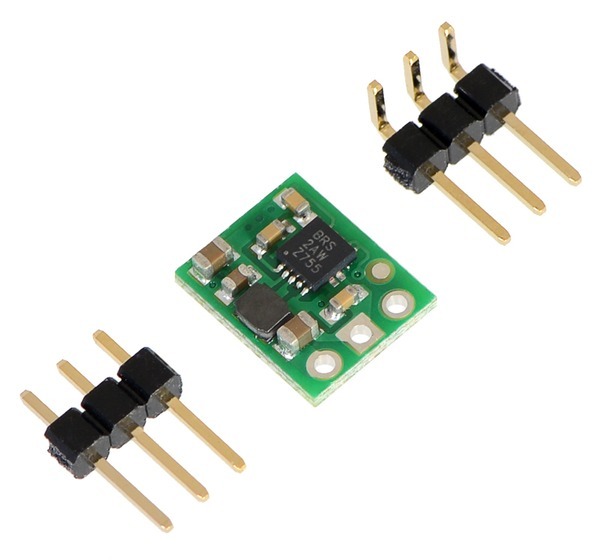 This regulator is also available with a fixed 5 V output, and very similar 3.3V, 5V, and adjustable-output versions are available with a true shutdown option that turns off power to the load.